-- Fournette v. Cohen is a big debate. I like Cohen PPR, JKatz like Fournette. I get the logic either way. -- Kirk and Larry Fitz? Cold weather. If a blowout maybe they score...but if 'close' they could have a real bad game. They are feast or famine plays. -- Doyle then Njoku/Engram at TE conundrum. Engram if you need a homerun hitter down due to TNF going against you. -- Sammy Watkins looks for sure out. Denzel Ward likely back this week. Sony Michel...I don't know. I'm not buying the confident reports he'll play. -- James Conner fighting concussion, I'm sure he'll be clear with 10 days to go. However, Jaylen Samuels now enters the 'must get' conversation...the handcuff to Conner. Your cute Spencer Ware or Malcolm Brown grabs (not having Gurley-Hunt)...takes a back seat to shoring up Conner, once Le'Veon is officially, official not coming back (Tuesday afternoon we will know for sure). -- Jets game went up to -7.5. I locked that one in at -7.0 earlier in the week...I still cannot believe the line fell when McCown announced. -- Green Bay up to -10.0. I am not thrilled with 10.0. I bet this at -9.5 earlier this week. -- Chicago up to -7.0, I don't like that one..especially at 7.0. It feels like Vegas is starting to get wise to NYJ-CHI-PHI this week and put out hateful lines. Those game's lines were much better earlier in the week -- when you had to strike. I do like Philly, but am waiting for the Dallas faithful to drive this line to -6.5. I'll eventually take the 7.0 if I have to. Most games we are identify earlier in the week are having their lines juiced throughout the week for like the last 4-5 weeks. I'm not moving the market...I just think our computer models are seeing what the pros see and Vegas is a half-step behind/the public a full step behind. -- You may not trust Taylor Gabriel, but this week vs. DET with no Darrius Slay + Allen Robinson back to help...it's all a very good set up for a Gabriel bounceback...back to those 100+ yard days from a few weeks ago. -- Rams-Chiefs Week 12 BYE...and you have a lot of those guys, right? Remember that they are the only two teams on a BYE that week. There will be more names on waivers available that week and Week 11 has six BYEs, so some players dropped next week who might be worth sitting on for your Week 12 issues (should you have them). -- I just saw video from Cleveland...snow being shoveled off the tarp. Very cold...very cold for the indoor/dome Falcons finesse offense. -- Joe Flacco is reportedly on crutches...so...yeah...Lamar Jackson getting closer to reality. -- Want to hear something scary? Saquon and OBJ and Evan Engram/George Kittle owners? The fires out in California...rumor of the MNF game getting postponed have leaked. I suspect they'll just move the game venue, if anything, but just something to keep your eyes/ears on -- what could be a fantasy disruption/bizarre situation. -- From what I hear, I say it's pretty good odds Joe Flacco is going to be shelved with this hip injury -- and that will usher in the Lamar Jackson era. Great week for this to happen -- a BYE week to get LJax ready. It will not be RG3...that rumor...don't make me laugh. LJax is not a good passer...figure 150-175 passing yards and a TD a game (with 1-2 picks) once he settles in. He might push 200+ yards, initially, in games due to the best schedule you could ever want coming up (as a passer): CIN-OAK-ATL-KC-TB the next 5 weeks -- a who's who of bottom tier pass defenses. Willie Snead and probably Michael Crabtree would be in a lot of PPR trouble here, with LJax, fantasy-wise -- especially Snead, who needs a more precise/timing passer. John Brown would have some big plays/games and some total zero games. Jackson might not have the passer numbers but he would make it up+ as a runner...you have to assume he goes 50+ yard rushing a game and a 50-50 shot at a rushing TD every game. 6-12+ fantasy points in a game as a rusher before we even get to any passer numbers. He'll be a better Tyrod Taylor...which is a QB1 in 4pts per pass TD leagues. Also note...Week 12 (the Mahomes/Goff BYE)...LJax vs. OAK could be a 25-35+ point fantasy event. I would expect LJax to put on a show in that game because the Raiders have no defense. If he comes back, he would be a bigger threat to Sony Michel...from the 'goal line' back perspective. James White has his role locked. Rex might take a target or two but I don't see White radically effected, but Michel might lose a short TD opportunity...and that's Michel's only reason to exist for FF (with White taking so much of everything else). White-Michel's numbers would tick down a bit on projections, yielding some snaps to Rex, but Michel way more effected than White. Rex's FF value? Near zero. 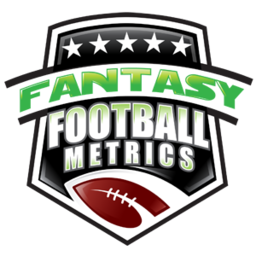 -- Potentially, Justin Tucker has been dropped in your league and is sitting on waivers...he has had a top 10 (#10) type scoring YTD per game, so he doesn't seem like a big deal. And it's 'kickers', so no one cares. However, fantasy teams that are 8-1/7-2...the ones looking ahead -- he's a best in class kicker if you can stash him on your last roster spot and switch to him the rest of the way, if it makes any sense. I'd rather have Zuerlein...and that's about it, when it comes to kickers. You want to stick with Gostkowski-Lutz-Butker...I get it; I can't blame you...especially the ones past their BYE. They're good kickers. But for everyone else -- a move to Tucker is intriguing for your title run. Tucker is the best kicker in the business, and his numbers are down because two games this season he's had no FG attempts...always a risk with kickers. In all his other games, he's the #2 scoring kicker per game this season (only behind Zuerlein). Note -- one other kicker maneuver to consider...Matt Bryant is a very good FF-kicker as well. He's out injured. You might stick him on your open I.R. spot (for those that have it) and be able to MAYBE have him for the FF-playoffs, as an option/upgrade...for those with trouble at kicker. Tucker is the best kicker in the business, and his numbers are down because two games this season he's had no FG attempts. Always a risk with kickers. In all his other games, he's the #2 scoring kicker per game this season (only behind Zuerlein).